Contact me for more details…. – Ecommerce Website Content: Educate, inform and inspire with robust web copy for your home page, blog or articles. Captivate your readers with clean, common-sense copy. 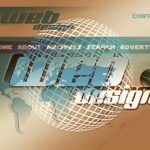 Does Your Ecommerce Business and Website Need Help? If you’re an Ecommerce Start-Up or if you have an existing ecommerce website that is struggling I can help. Using a simple, yet proven 4-Step formula we’ll generate masses of traffic and give your site visitors an unrivalled ecommerce experience that results in multiple orders without resistance, using explosively powerful traffic generation, usability, and conversion techniques. We will start with a quick website and data analysis that will establish where the leaks are and what needs tweaking to drive more traffic to your website and how to convert this traffic into paying customers. Using simple and common sense techniques, technologies and methodologies we will position your business as leaders in your chosen category, market or niche resulting in a leadership position and ultimately market dominance. Experience is something you can’t buy, borrow or pretend to have, Contact Me Now to squeeze more profits from your ecommerce business! In my book Ecommerce Get It Right! – available on Amazon and offline bookstores I detail my extensive ecommerce experience. 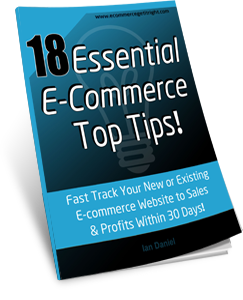 Building, running, trading in and subsequently selling my ecommerce businesses 3 times over, ultimately so you can benefit and profit in the quickest time possible. And with over 17 years experience building high-performance ecommerce (online retail) websites for my own businesses and clients I can help you reduce costs, increase sales and add massive value to your business and bottom line profits.